Surej Nair loves the freedom of being a business owner. 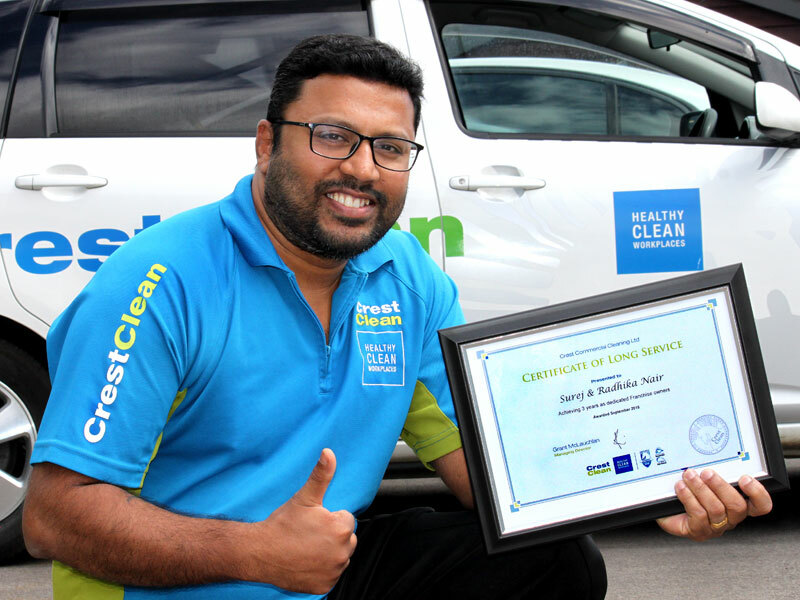 Buying a CrestClean franchise ended Surej Nair’s quest to find an occupation that fitted in with his young family. With his wife working as a nurse, Surej needed something that had flexible hours so he could be at home while Radhika was working. Now running his own successful CrestClean franchise in Tauranga, Surej says he’s never been happier and he’s relishing the new-found freedom that being his own boss has brought him. “I have my own time to spend time with my family. It’s really great,” says Surej, who has mornings free before starting work at 3.30pm. Originally from India, Surej has a background in hospitality and worked in the Middle East as a food and beverage supervisor at a hotel in Oman. In New Zealand he found a job at Pak’nSave, Napier, and later transferred to the Tauranga store working the butchery department. He joined CrestClean following a spell working in a filling station as a cashier. Keen to work for himself, Surej says buying a cleaning franchise has given him a fantastic work/life balance. 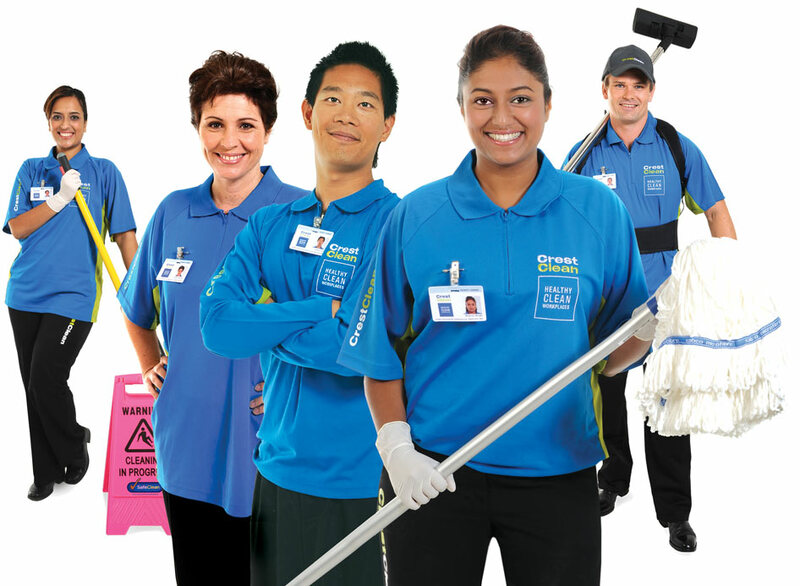 “I was looking for a small business and CrestClean has been just great for me and my family. “It is a secure business to be in and getting paid every two weeks gives us financial stability and we can plan for the future,” added Surej, who recently celebrated three years with CrestClean. Jan Lichtwark, CrestClean’s Tauranga Regional Manager, says Surej has a great attitude and his customers are delighted with the service he provides.